Jess - a bubbly offbeat teacher who is known to burst into spontaneous song - catches her boyfriend with another woman, and needs a new place to live. She moves into a loft with three single guys she's never met before. Nick is a jaded law-school dropout, who usually just wants t... read full description below. Jess - a bubbly offbeat teacher who is known to burst into spontaneous song - catches her boyfriend with another woman, and needs a new place to live. She moves into a loft with three single guys she's never met before. Nick is a jaded law-school dropout, who usually just wants to be left alone. Schmidt is an flashy businessman, who believes he is a gift to women. Winston is a former athlete who doesn't know what to do, but really needs to win whatever it is. 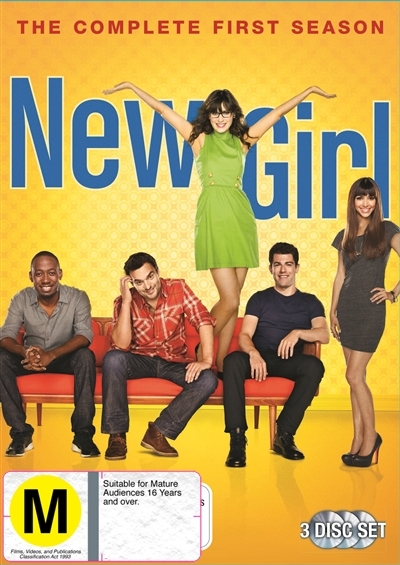 Can this dysfunctional group handle the 'adorkable' new girl?